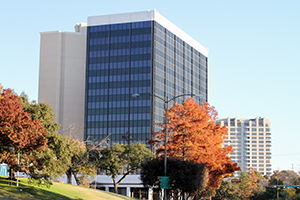 Our Dallas, TX, podiatry practice at Advanced Foot & Ankle Care Specialists offers outstanding medical care for patients suffering from a wide range of disorders causing foot pain, toe pain, heel pain or ankle pain. 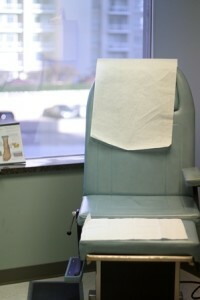 Our foot and ankle care clinic features the most up-to-date podiatric equipment and highly trained medical staff. Dr. Kennedy Legel and his podiatric team combine their years of experience to treat you with the utmost understanding, while receiving treatment in our safe, comfortable, state-of-the-art facility. Our podiatry specialists offer treatment plans for a wide range of disorders affecting the foot or ankle areas. Some conditions can be corrected within a short time, while others require long-term care, including extensive patient education so that you can make the best possible choices concerning your health. Why Choose Our Dallas Podiatrist? Advanced Foot & Ankle Care Specialists delivers comprehensive treatments and the best possible results to fit each patient. Your first step toward healing is making an appointment so that our Dallas podiatrist, Dr. Kennedy Legel can evaluate the problem. For your ultimate convenience, Advanced Foot & Ankle Care Specialists use the latest electronic medical record (EMR) technology available to physicians. Our EMR was certified as a complete EHR by the Certification Commission for Health Information Technology. Our podiatry practice’s EMR met all of the criteria approved by the Secretary of Health and Human Services. Our efficient system allows us to interface with other doctor’s offices, vascular labs and hospitals. Our EMR system can store photographs, videos, lab results, medication lists, and any other “paperwork” in electronic form. We provide some patient forms here on the website so you can download, print and complete them before your appointment. Patients should be ready to provide complete medical history, current medications and any previous treatments that relate to your foot or ankle problem. Find more information about what to expect on your first visit, here. Improve patient health with a commitment to excellence in all we do. Offer high quality care that sets community standards and exceeds patients’ expectations. Always listen to and address patient concerns with the utmost professionalism. Provide caring, convenient, cost-effective health care. We offer same-day appointments and prompt scheduling. Submit your contact form online to receive a prompt response from our Dallas podiatry staff, or call (214) 366-4600.